Rich notes of barley and dried fruits. Again rich, potent with spice, cinnamon and pepper. 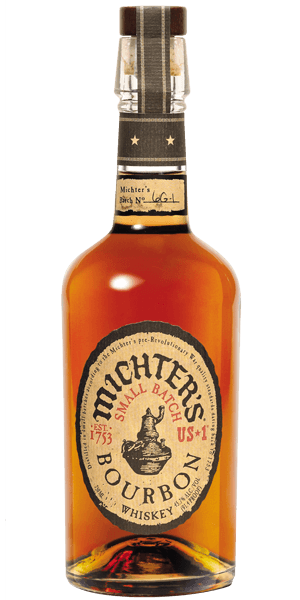 Michter's US*1 Small Batch Bourbon Whiskey is adored for its dried fruit, caramel, black pepper and spicy flavor notes. This Bourbon is carefully distilled at Michter's distillery, United States. Based on 1123 votes, the average rating for Michter's US*1 Small Batch Bourbon Whiskey is 7.7/10. — Outstanding, incredibly drinkable. smooth, pleasant. — This one surprised me. No matter how many bottles I buy, they always seem to be low. Drizzle this on vanilla ice cream to have your mind blown! — Easy to drink, great flavor, pleasant smell, what more could you ask for from a bourbon? As far as "mid-range" bourbons go this is in a league of its own. Outstanding, incredibly drinkable. smooth, pleasant. Fruity and sweet. Not so much peat. Its very nice but nothing special. This one surprised me. No matter how many bottles I buy, they always seem to be low. Drizzle this on vanilla ice cream to have your mind blown! Good solid bourbon. Smooth with a nice finish. I ended up mixing this with a bottle of Woodinville Whiskey, let them sit in the oak barrel for a month. Came out better. Easy to drink, great flavor, pleasant smell, what more could you ask for from a bourbon? As far as "mid-range" bourbons go this is in a league of its own. Surprisingly excellent. No wonder it was on the list of ‘Best of 2018’. Extremely easy to drink with great depth of flavor. It's got a nice flavor; solid, middle of the road bourbon that will not disappoint. A nice smooth feel and taste. Strong finish. Smooth up front with some spice lingering. Reminds me of makers mark but not as sweet. Very good! If put head to head with any distillers standard offering, Michter’s will win a blind test every time. Can anyone argue that? Just didn't care for it. Too spicy and no sophistication. Complex, but friendly. Very excellent Christmas gift. This was a gift that didn't last very long. Straight fire. Complex, spicy. Among the best bourbons that is still easy to find. Liked but didn’t love this one, keep going back to finish the bottle hoping I’ll get something different but not there for me, a lot of pepper/ spice is all I can get on this one. Michter's is a very consistent distiller. I've had their bourbon, American Whiskey, and sour mash, and have enjoyed them all. I loved it very very smooth with a bold flavor with a great aftertaste once again loved it !!! It is an outstanding, rich, Single Cask Bourbon Whiskey with a rich birth; while a rich & spicy life; leads to a long & peppery finish. I think this is good everyday sipping Bourbon. Smooth and a little sweet with a pepper finish. Great price and taste, has definitely become a staple in my home bar. I really like this bourbon. I find it quite tasty with a smooth finish and subtle spicy notes. This is going to become one of my go-to bottles. This was way better than I thought it would be, very mild yet full flavored. Mellow and great for relaxing. Couldn’t love it more! This is for sure one of my favorite bourbons now that I've tried it. Not overpowering in any one taste, but it has a nice kick that'll make someone want to smack their mother. I truly enjoyed a nice surprise when I tasted floral and smooth. Worth every ounce! Peppery to begin, familiar bourbon taste, and a smooth finish, not too sweet a good sipper n relaxer. Nice flavor. First was a hint of Carmel followed by pepper. The pepper really comes out and lingers for some time. Smooth finish. Well balanced, smooth and mildly sweet. Definitely dried fruit on the nose and very oaky and peppery on the palette. Rich vanilla on the finish. A fine fine gift for my membership indeed! A new member gift that I liked.... it is now all I want to drink! So smooth, so flavorful and just mmmmm! Excellent whiskey. Very smooth, yet still packed with flavor. Upfront flavors are sweet caramel note with a slightly spicy and dry finish. Aroma is sorta musky but primarily barley. This was my first real bourbon experience, ok let me back track. I purchased a bottle of Makers Mark before this got to me and the difference is night and day. This Michters Burbon was fantastic! I tasted some sweet and spicy to the tongue sort of a honey cinnamon ginger and found it leaves a sweet lingering sensation with only a little burn. I really enjoyed this neat but also a few drops of water opened it up and made it the perfect dram to end the day with. I would love to get their Rye and toasted varieties. It was okay. I didn't dislike it, but had higher expectations based on the Flaviar marketing. trying this one straight was good. Had some sweet honey notes and some maple and fruit. The alcohol burn was a little strong but not unpleasant. It is really smooth. made we want more. After getting this with sign-up, I must say I was delightfully pleased. The flavor is complex yet smooth. Drinking it on the rocks really allowed it to shine.  The flavor spiral is right on. Has some decent complexity without being overwhelming, especially for new bourbon drinkers. Got this with the sign up, it’s delicious. I can’t say I tasted the fruit in the flavor spiral, but the rest was there. I really enjoy this one. Solid. Full bodied. Nice caramel flavor that finishes a bit spicy. One of my first that wasn’t a mainstream ones. It’s very complex in taste and the first sip will make your face twitch. I cut it with 20% water and a rock ice cube. To the nose it’s sweet, the tongue it’s spicy. Really strong notes of vanilla + cinnamon. Very smooth and easy to sip, sweet notes of Carmel and fruit. This was a nice addition to the portfolio. Warm, smooth cinnamon spice up front, opening to a caramel mouth feel. Undertones of clove linger on the tongue. Very peppery and spicy, but still smooth. Dried fruits, and caramel are also present, mostly on the nose and the beginnings of the taste. Would be a lovely finish to a nice steak or pork dinner. Too sweet for my likes. Super smooth and easy to drink. One of my favorites! Love the sweetness in the smell and taste. The strong pepper and spice in the finish is wonderful. Nice bourbon but not my favorite. Has a bit more bite like a rye and than a bourbon. Michters Small Batch Bourbon is my all time favorite bourbon. I can sit and sniff the caramel and butterscotch scents for an hour before even taking my first sip. The taste is perfection with brown sugar and ever-so smooth. I always have this on hand. Pretty good nose and finish, but the palate left a lot to hope for. Notes of brown sugar, caramel, toffee with a smooth, oily medium finish. This was ok. It was harsher on the pallet than I expected, but the flavor was nice. I ended up using it in mixed drinks. Nice caramel aroma, smooth sweet taste. Nice finish, not too tarte. Enjoyed this bourbon as did my friends I shared it with. Nice bourbon, with caramel and tobacco a bit too much spice for me but it's all up to the individuals taste! Very nice I enjoyed it. Superb bourbon! Nice vanilla, caramel and even tobacco and clove on the nose. Very soft on the palate with cinnamon, sweet vanilla, more caramel and sweet dried fruit. A very peppery finish is my only critique. Not bad, just a litttle stronger than I expected. As a new member/enthusiasts I really enjoyed this bottle. I would say it’s comparable to Four Roses small batch. It drinks smooth with a little bite at the end. Not as good as the rye to me, but still reasonable. I wasn't impressed with the first taste. However, it quickly grew on me. I like it. This is one of my favorites - after Blanton's - a wonderful Kentucky bourbon - sweet at first - maybe a bit smokey. I drink it straight over one ice cube. I highly recommend it ! This has now became one favorites. My friends and enjoyed it straight and mixed. I would highly recommend to new Flavier members for there first bottle. Prior to joining this club, I had never heard of Michter's before. But I was very pleasantly surprised by what I tasted. Definitely a current favorite. Thanks for the recommendation! My current favorite bourbon. Michter's Small Batch is terrific straight, really good on the rocks too. Others like it mixed, but I prefer it for sipping. It has the best sweet caramel flavor followed by a very smooth finish. Great bottle, especially for the cost. Only gave a six because it doesn’t compare to some of the more costlier bottles, but I still enjoyed this drink. Easy start and warm finish. Very smooth for the high alcohol content. Would definitely buy this again. Go this when I joined flaviar, a very pleasant bourbon that really comes alive with a healthy splash of water, nice bite with a great finish that lets you know it's a bourbon. Thoroughly enjoyed this one. Smooth with an easy finish. I am not a frequent drinker of bourbon, however the Michters recipe was very easy to savor, not overly sweet, somewhat smokey, and a reasonable oak or woody after taste. Generally, I find bourbon too sweet, but this was not the case with Michters. It was part of my welcome box. This is now a favorite. I am pleased with this bourbon. Has a great caramel smell as suggested. Excited to savor this bottle. Sorely disappointed in what has been hyped up. I drank it, but wouldn't buy again. Plain and just not very tasty in any way shape or fashion. Sorry, just was not for me. This reminds me of Bulliet Bourbon in taste. Smooth, spicy with the right amount of complexity. Is good on its own on the rocks but also blends well. Ended up using this bottle as a gift with some cigars to celebrate my good friend's new house. It didn't last the night. Between the half dozen of us, this bottle was emptied & when I told them about how I got it & more about Flaviar their eyes lit up. You've got 5 new members coming soon, and all want this bottle. Great straight, mixed with some Ginger Ale (big Jameson & Ginger guy myself), and the cigars were a great sidekick. I love it! Smooth flavor and it pairs well with an opulence cigar. Nice bourbon. Fruit forward with a comfortable heat. Smooth mouth feel and a sweet vanilla finish. Love it. Great bourbon! Smooth and flavorful, with hint of spice. Not typically available in my corner of the world (Wyoming); this would be a standby if it was! I liked this but I had it mixed with sprite. I hope in time to be able to enjoy a drink straight or on the rocks but not there yet. I do enjoy Templeton rye straight so I do have hope. I’ve always liked this brand. Nice caramel, vanilla and fruit notes with a little spice. I like it neat first then with some melting ice next. The complexities come out this way and adds to the experience. Always a go to for me. Delicious. I was excited to get my first box and thought of this bottle as a bonus but it ended up being the big favorite. I was surprised by the depth of flavor and smoothness. I normally think bourbon is sickeningly sweet. I tend to lean toward savory. However, this is a lovely bourbon. Dried fruit on the nose (golden and concord raisin I believe) and the cinnamon were instantly identifiable. Mouthfeel was pleasant and didn't feel "sticky" likc most bourbons do to me. It is so interesting to me that most do not like the pepper finish. I absolutely adore it. Lovely. Smooth. Delicious. I am enjoying this bourbon immensely. Had a buddy over to try everything in the sample box, this bottle, and two others I had ordered from this service and we both agreed, this was the winner. Complex, yet easy to drink, this is now one of my go-to bourbons. Wow. What a bourbon. So smooth going down with a wonderful flavor. Would definitely buy again. cannot express the notes as beautifully as some but its very good smooth and easy to drink. Smells like spiced honey. Smooth and peppery. Nice end of day drink on the rocks. This was very peppery and spicy for me. Letting it sit in my mouth really brought out the dried fruit and cinnamon but the burn and spiciness were major drawbacks. Tried this in a tasting box, and honestly torn between hoarding my last bit and savoring it immediately. Good balance of traditional bourbon whisky flavor and sweetness. Adding to Wish List! Like others, after all the hype, I was a bit disappointed with this bourbon. It's just not quite as smooth as I would expect and the Peppery finish doesn't roll of my tongue as well as other bourbons I have drank. Good, especially if you like a dried fruit profile. Although a very good whiskey, after all the hype I read, I was a little disappointed. I will definitely try it again with expectations uncheck. This stuff is always a call of mine. It’s on of the few I’d take neat. Smokey aroma. Sweet carmel and touch of smoke. Some cinnamon toward end before it finishes with lasting pepper notes. Def get the bourbon burn that lasts. Not the smoothest neat pour. The dried fruit and the caramel cut nicely against the spice - I actually enjoyed this bourbon quite a bit and would recommend a bottle. This is a good standard bourbon, a little kick with a smooth finish. Great alone or in an old fashioned. With all the hype I've read about this I was looking forward to trying it. I was disappointed. I wouldn't place it among my 5 or 6 favorite bourbons, especially given the price. Not the best I’ve had. Not enough flavor. Very Smooth, Quite tasty. I would recommend this bourbon for people try. Don't love it, but it's solid, middle-of-the-road; I feel like it's a little overpriced. Balanced; a little more spicy and bite than sweet and smooth. Fruity/sweet briefly up front, settles into bold spice/cinnamon; finishes sweet with hint of clove and some heat. Smooth, taste, sweet, I like them like this. Would buy this again. Actually my first bourbon. I don’t feel like it can even remotely compare to whiskey I’m afraid. I suppose I will have to give it at least one more try before dismissing it but this one was not for me. Spicy and warm notes make this a good staple symptoms sipping bourbon. Not the best Michter's I've ever had but pretty good. A little sweet upfront for my liking, but finishes with a nice spice. Worth purchasing. The aroma catches you first once it’s opened..although it starts pretty strong, it smooths out nicely and has a spicy finish..with the price, it’s become a favorite go to bourbon..
One of the best values in the $25-50 range. Fruity smell and taste. Clean finish. Solid, nice notes and flavors. Good solid sipper. Full body. On the sweeter end so I enjoy it over a rock. Citrus and Carmel on the nose with a nice spiced finish. Nice. Short on the front, but good flavors and good finish come through. Flavor spiral is pretty spot on. The US1 is better. This is smooth finish but a harsh start. Pay less for better whiskey. This was a pretty good tasting bourbon; however, it paled in comparison to Bookers, Bakers and Blantons. Just my thoughts. Compared to several other bourbon's I've recently tried; this one seems more harsh, not very complex and I felt over priced. It did not leave a pleasant taste in my mouth. Lots of flavor and refreshing taste at the end. Excellent! A Great bourbon with a unique hint of its own magickal origins. A worthy salute to its creator's talents. Smells great. As you inhale you can smell the hint of fruit and vanilla. The initial sip has a bit of a bite but not a harsh gasoline hit. It softens and mellows quickly allowing you to taste the spice and peppers giving with a somewhat smokey taste. A very nice whiskey worth sipping next to a fire on a cold day. Michter's is my all time favorite. always smooth. doesn't burn badly. Perfect. Lots of oak notes, smooth finish. Great whisky for the price, never disappoints. Very smooth rye. Not too harsh, not too floral. Good flavor and body. If you want a smooth drink then this is the one for you. Straight-up and enjoy! One of the best I've tasted! Delicious! Very light taste all the way through. My favorite Bourbon. Highly recommended to those who like a sweet smokey flavor with a little bit of kick. Straight out the bottle warm I don't recommend except for those that can handle the heat. Pour a glass throw in a single ice sphere and it is delicious. The Mrs stole a shot and poured it in her coke. After screaming sacrilege I tasted it and it tasted like cherry coke. I am really enjoying this bottle as a southern boy who does not drink in moderation. One of the best of the grand master Kentucky craft bourbons in an American bursting at the seams with exciting new whiskeys. Once you're ready to take the training wheels off your tumbler and experience full-throttle flavor, this is your "I've arrived," bottle as a serious bourbon enthusiast. This came very highly rated so I was disappointed. Just kind of clumsy--not well balanced. The alcohol over-powers the palate which is a little bland. Absolutely my favorite Bourbon! Great flavors! I have higher end, more expensive, bourbons but, this is the one bourbon that goes into my decanters. Pick one up, well worth it! Smells like s'mores - has a good taste.